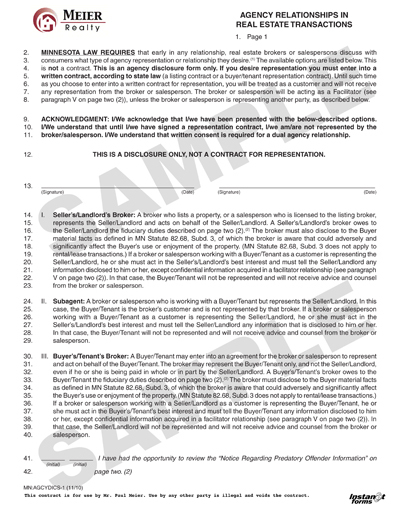 Please complete the following information and our agents will go to work to provide you a Price Analysis of your home. Our agents prepare each Price Analysis (within 24hrs) with the same dedication and skills that makes us the leading experts. When a potential buyer drives up in their car they are making their first decision whether or not to proceed to look inside. A well-groomed yard is valuable in enticing a buyer to view your home. You’ll need to have an eye of detail to evaluate every aspect of your yard. Keep your yard mowed, raked, fertilized and watered. Remove all toys, bicycles, tools, unsightly patio furniture, trash items, animal debris, and so on from your yard. Trees and shrubs should be pruned and trimmed. Lawns and gardens should be weeded regularly. All hoses and garden equipment should be out of sight. Outdoor furniture should be kept clean and/or repainted if needed. Firewood should be stacked out of sight. Walkways and driveways should be clear of debris. In the wintertime, clear off snow and if icy, apply salt. (You don’t want a potential buyer to slip and fall!) At other times of the year make sure walkways, driveways and curbside are trimmed with edge trimmers. Paint your mailbox if needed. Ensure street number is legible. Porches, steps, verandas, balconies, patios and other extensions should be uncluttered, swept and in good condition. Paint all entrance doors. This is where the potential buyer forms an opinion of the home. Shades and awnings should be in good condition. Replace them if the color has faded. Remove windsocks, chimes, etc. Keep trash cans deodorized, covered and out of sight. Gates, fences, wall sheds and other outer buildings should be cleaned, repaired and painted. Clean and shine all metal accessories (door knobs, door knockers, lamps, mailboxes, street numbers, etc.). All loose roof shingles, tiles, etc. should be secured or replaced. If the roof leaks, fix it! Remove all traces of prior water damage to the ceiling inside your home. Make sure the garage door opens easily. Repair if needed and paint it. Paint the chimney vents. Inspect and repair any loose bricks or stones. Caulk where the chimney meets the roof. Wash all the windows—inside and out! This adds to overall impression and helps your home show in a nice, bright light. Curtains should be clean and attractive. Remove all smoke, pet and hobby odors from the home. Clean all light bulbs, light fixtures and chandeliers so that the home is brighter. Shampoo all carpets and vacuum them daily. If the carpet does not clean up well you should REPLACE IT! Use a neutral color or simply remove the carpet if hardwood floors underneath are in good condition. Clean everything in your home from top to bottom, from the attic to the basement. Remove all grease from the range hood, oven, stove top, walls, etc. Replace burner pans. They are inexpensive and it is easier than cleaning them. Clean all the rubbish out of the fireplace and keep it clean. Remove all “junk” from the attic, basement, closets, garage, tool shed and especially from the storage area if your home has one. Large storage areas are appealing to buyers. Rent a storage area for these items to get them out of the house. Remove posters and adhesive from walls and doors. Putty and paint any holes resulting from nails or other mishaps. Paint all inside walls with off-white paint. Use two or more coats to cover bold, bright or dark walls. All walls should be painted—not just washed. This will brighten the home and make it look much bigger. Make sure the front door, storm door, screen door, etc., are in perfect condition. If not, replace them. This is the first impression the buyer has of the home. Lighting and cleanliness here are especially important. Repair or replace all doors, closet doors and/or windows and screens so that they open with ease. Repair or replace broken tiles on walls, floors or in showers. Repair or replace loose wallpaper. If the basement shows any sign of water or structural damage it may be necessary to obtain a structural engineer’s report. Replace toilet bowls if you cannot get them spotlessly clean. It’s not expensive and makes a big difference. Improve the plumbing to increase water pressure. Buyers will check this every time. Replace the washers in the faucets and remove rust stains. Whew! That’s a lot of work, but this will ensure you are the right tract for successful sale. A very popular marketing tool for sellers is “Home Staging”. By placing furniture, artwork, plants, or decorations we can help a buyer visualize the space. This is important for all priced homes. We can work with your own furnishings to create a new look, or even refer you to our preferred Staging Professionals. Clean and spotless are musts -floors to ceilings. No bad odors - removal of smoke, pet, and mildew orders. Reduce clutter. Clear counter tops. Pack up the bulk of large, personal collections, so that buyers don't get so interested in looking at them that they forget to look at the house. Remove excess furniture to make rooms more spacious. Clean and organize the closets. Store boxes in an out of the way location or rent a temporary storage unit so you can de-clutter every part of the house. Remove area rugs if they expose nice hardwood floors. Plants go hand-in-hand with nearly any home staging theme--living plants, not artificial versions. How about fresh paint. Are walls in the house dingy? Are the colors dated? Bake bread during showings, or place a fresh loaf in a basket on the counter. Classical music playing softly in the background is nice, but choose something that enhances the mood you are trying to create. Don't forget about curb appeal. We mentioned keeping the lawn nicely trimmed, but how about adding other elements to grab a buyer's attention before they walk in the door? The door itself can be a buyer-winner if it's adorned nicely. Every house is different, and no one expects you to be a professional home stager. But taking the time to prepare the house may put extra dollars in your pocket, and in less than average time. Plus, a great overall impression is often enough to make a buyer more lenient about minor repairs that may be required. You want them to fall in love with the house as soon as they step inside. Your home is being “interviewed” by the potential buyer. Use these tips to ensure its best features are displayed and your home is ready for each showing. Open the draperies, pull up the shades and let in the sunlight. Rooms bathed in sunlight appear bigger and have a positive impact on buyers. Install higher wattage light bulbs to show your home brightly—in its best light. Turn on all lights. Remove all “clutter” from each room. Remove things such as coats, shoes, clothing, pet toys, pet food bowls, trash cans, toys, child safety barriers, play pens, etc. Keep all nonessential items off the floor so that the room doesn’t appear cluttered. Uncluttered rooms look bigger. Make sure beds are made with bedspreads smoothed out. Also, linens and curtains should be fresh and clean. Keep laundry out of sight. Organize closets, remove unnecessary items and put them in storage. Large closets sell houses and a well organized closet looks much bigger than one crammed with clutter. Dust and vacuum floors often. Don’t leave soiled towels lying around. Wipe showers after each use. Recaulk the caulking if not spotlessly white. Our reputation in the community is based on honest and ethical service. We believe that knowledge is power and it can only help you make better, more informed decisions. The commission paid when selling your home is a mystery to most people. For some reason, most Realtors believe people know how it works and therefore see no need in explaining it. Of course, the home seller always wants the cheapest rate... so let's take a look at just what is involved in your commission. When the home seller decides to place their home on the market, several people are involved in the process. Many of these folks work behind the scenes to assure you have a legal, efficient, and profitable sale. The Realtor is paid for time, service, and marketing expenses by an agreed upon commission percentage that is given in writing at the onset of placing the home on the market. Most sellers think the listing agent working to sell your home walks away with the full commission. This couldn't be farther from the truth! Let's say for example, that the listing agent Realtor agrees to sell your home for x%. Immediately upon entering your home in the Multiple Listing System (MLS) the listing agent agrees to spit this commission with the Realtor that brings in a buyer. This Realtor is the 'Buying Agent'. When a buyer goes to an Realtor looking to purchase a home, that Realtor looks on the MLS and assists them with finding the right home. The Realtor also knows up front what he or she will be paid on the transaction, because it is listed in the MLS from day one. Basically, the home seller pays the expense of the commission for both sides of the transaction. This is the way real estate is handled in the state of Minnesota, and most other states around the country. So, the Realtor that lists the home on the market first splits the share of the commission with the buying agent Realtor. If the listing agent is also the agent that brings in the buyer, this same commission rate is paid because the Realtor is still doing the work for two parties, buyer and seller. But, that is not the end of the split of the commission! The Broker or Brokerage the listing agent works with, then gets a 'cut of the pie' and once again the commission is split. What was originally x% commission is now just a fraction of this amount. But it doesn't end there! The agent selling (listing) your home for sale then has to pay all of the advertising expense, marketing expense, staff expense, phone, MLS, car, gas, brochures, internet... and Uncle Sam's share (just to name a few)! So you see, the original commission is a far cry from what the listing agent gets to take home in the end! Although it seems like finding an agent that gives you the lowest possible price on the commission is the best Realtor to use, statistics prove just the opposite. An agent selling your home for 4% cannot provide you with the same marketing plan as someone selling it for 5-7%. Our Commission is Negotiated Individually With Each Client. A well priced home often generates competing offers and drives up the final sale value. Our market analysis takes into account the most actively searched prices and home values. In marketing your home, Meier Realty will emphasize its unique and sellable features. We then put your home in front of buyers, establishing it on the local MLS as well as broader ones, just listed cards, and syndication to 100’s of online real estate sites. In addition, we'll use the Internet and our innovative website to make your listing highly visible. With more than 80% of buyers checking the web first when looking for a home, this is a part of your marketing strategy that you can't afford to miss. We’ve all seen those signs around town and perhaps in our own neighborhood. If you’re thinking about selling your home in the near future you might be thinking this is a great way to save some money -- but is it really? While keeping those commission dollars in your pocket instead of a REALTOR®'s is definitely tempting, not all homeowners are up to the challenge of selling their own home. Even if it’s a straightforward transaction, there is plenty of legal paperwork as well as advertising and marketing challenges to take care of. For most people these three items alone are a deterrent to selling your own home. A home is a financial investment so it makes sense to use a professional REALTOR®. REALTORS® have access to the Multiple Listings Service also known as the MLS®, but you don’t. The MLS® is perhaps the most widely used tool to sell homes and reaches millions of people looking for a home. Selling your own home involves finding your own advertising venues as well as paying for any out of pocket costs you incur. For many, this aspect of selling your own home can be time consuming and frustrating. Meier Realty agents know local market values, whether they are rising or falling. By attempting to sell alone, you could be vastly underpricing your home. Or maybe it is overpriced so prospective buyers will stay away. Most prospective buyers shy away from "for sale by owner" newspaper classified ads. There is a good reason more than 85 percent of home sales are handled by real estate agents. Another consideration is are you prepared to make appointments during the day or during normal business hours. REALTORS® are also adept at negotiating the sale as well as guiding a seller through the entire sale process and what it entails, for instance home inspections or repairs that need to be taken care of before the home goes on the market. While in most cases a REALTOR® is not an attorney, they have a general understanding of the legal paperwork involved, most of which involves filling in preprinted contracts and paperwork. And, unless you are a longtime resident of your community, real estate agents can provide detailed information about schools, utilities, zoning, and other concerns that potential buyers might have, especially if they are moving from a different province. One of the most important and overlooked pitfalls of selling your own home is not knowing whether you have a qualified buyer. In other words, you may receive an offer that you are happy with and proceed with the sale only to find out that the buyer has bad credit and can’t obtain a mortgage or doesn’t have enough cash for a down payment or closing costs. When you hire a REALTOR®, you don’t have to worry about wasting time on someone who wouldn’t be able to buy your home anyway. These are some of the many questions that homeowners have to ask themselves before embarking on this endeavor without a professional. If you’re still determined to sell your own home, go right ahead, but now that you have a better understanding of what’s involved, you might just decide it’s better to hire a REALTOR® and save yourself some headaches along the way.